Family--It's what makes us resilient and keeps us strong--the joys, sorrows, humour and wisdom of family life. Kindness--Inspiring stories about Canadians who do good works--in their communities and around the world. Valour--True stories that commemorate the sacrifices ofour brave men and women in uniform. Memories--From lakeside in the summer to hockey in the winter, and from characters that inspired us to the games we love, here are some of our fondest recollections. Adventure--From camping on the tundra to motoring cross-country, here are the tall talkes for intrepid adventurers. Community--Canadians celebrate their neighbourhoods, culture and inclusiveness in poignant stories of struggle and achievement. Talent--Gifted Canadians share their creative journeys while chasing their dreams. 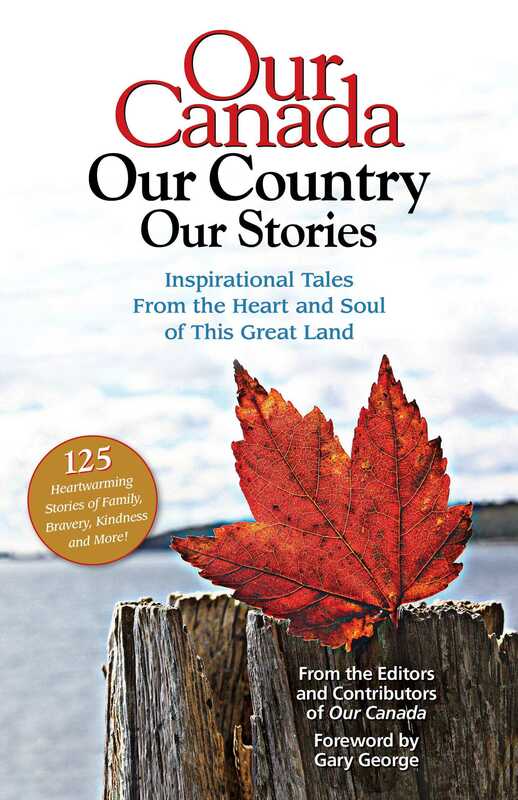 The stories in this engaging book are from Our Canada and it's companion publication, More of Our Canada--magazines like no other. Written by readers, every issue brings Canadians together to share adventures, celebrate joyful memories and tell the stories of this great land of ours and the people who so proudly call it home. Guaranteed to warm your heart and make you proud.